Chris Brinkley has called Oklahoma home for nearly his entire life. At an early age, Chris had aspirations of becoming an astronaut. Those dreams fell short though, when he got his first pair of glasses, forcing him to realize he would likely never fly in space. However, his passion for the industry eventually led to him getting an undergraduate degree in aerospace engineering. 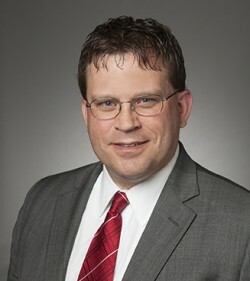 Chris then returned to school at the University of Tulsa College of Law where he was a member of the Phi Delta Phi legal honors fraternity and graduated with a Juris Doctor in 1994. He has utilized his engineering degree since his first legal job in which he prepared lawyers to depose engineers. For the last 24 years, Chris has focused his practice on products liability, wrecks caused by tractor-trailers, and other areas of personal injury. Chris takes great pride in providing quality and sympathetic representation for each and every one of his clients. 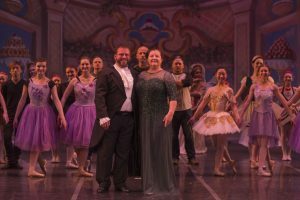 Chris Brinkley and his wife, Karen, in The Nutcracker. Photo courtesy the Charleston Gazette-Mail. Chris is an avid owner of a Saturn Sky roadster, participates in events nationwide, and was the chief organizer of the 11th North American Solstice Sky Annual Meet (NASSAM) held in 2016. Chris runs 5K and half-marathon races, often as an Ainsley’s Angels runner accompanying a special needs athlete. Chris is also a competitive racquetball player, sponsored by Head Racquetball. Chris is married to Karen Brinkley who was his first love all the way back in junior high school. The two share a passion for many types of dance, are devoted benefactors to a number of ballet companies, and have even danced several times in the Charleston Ballet’s performance of The Nutcracker. Chris also served on the Board of Directors of the Charleston Ballet.